This year’s Rochester International Jazz Festival, now sponsored by CGI, will offer performances by more than 1,500 musicians. The lineup, announced this morning, is certainly not lacking in quality or variety. 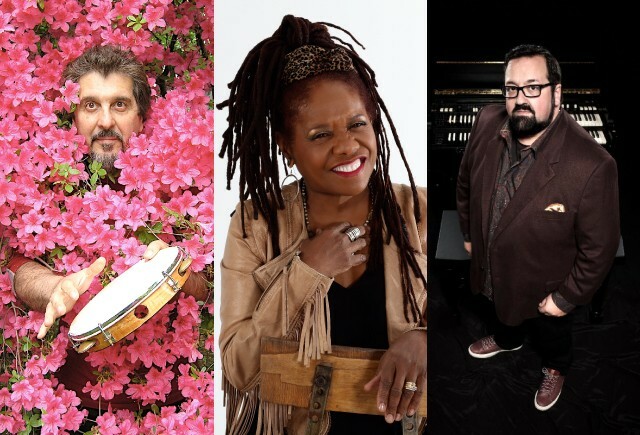 Among the jazz acts returning to the festival, which runs from June 21 to 29: vocalist Catherine Russell, organist Joey DeFrancesco, pianist Bill Charlap, and guitarist Bill Frisell, with his trio. Also in the lineup: saxophonists Nubya Garcia and George Coleman with his quartet, Brazilian percussionist Cyro Baptista, bass guitarist Gene Perla with his trio, guitarist Lionel Loueke with singer-songwriter Raul Midón, and pianist Harold Mabern. Overall, the lineup feels guitar-centric. In addition to Frisell and Loueke, the festival will bring guitarists Gilad Hekselman, Mikkel Ploug, Rob Tardik, Scott Sharrard of the Gregg Allman Band, John Pizzarelli and his trio, and the Allman Betts Band featuring Devon Allman and Duane Betts, among others. Guitar fans have a lot to be excited about, whether they prefer jazz, blues, or rock. Other high-profile performers include original “Blues Brother” Dan Aykroyd, playing with the Downchild Blues Band; high-energy acts like the blues-rock group Ron Artis II & The Truth, and the brass band Bonerama, and festival favorites like Trombone Shorty, Jake Shimabukuro, and Durham County Poets. Local artists such as The Campbell Brothers and Teagan and the Tweeds will also play. This year’s schedule increases the number of free concerts: 112 in all. The expansion also includes seven additional free shows at the Squeezers Stage on Parcel 5, four more concerts at the Fusion Stage, and a new Midtown Stage hosting shows on the last two nights. Familiar jazz fest events include free student jazz workshops, from June 24 through June 28; jam sessions at the Hyatt Regency Rochester held each night at 10:30 p.m., hosted by Bob Sneider and Karl Stabnau. Also, the "Save Time in Line" number system will be used for the first sets at Kilbourn Hall, Max Atrium, and both Geva Theatre stages. The festival’s app will be available for download on iPhone and Android devices in April. The complete schedule can be found here. More information on the festival can be found at the official website, rochesterjazz.com. CITY's Preview Guide will be published on Wednesday, June 13.